Find the thing YOU love. At book club (now, who’d have thought that?!) My friends who had read my latest post, asked me about it and we got chatting about wanting to make those changes but it being easier said than done, when one friend said “I really love running and miss it when things get in the way and I don’t go.” Running? ‘Ewww, yuck,’ said my brain. But this friend said, it makes her feel wonderful and she loves taking in the view and waving at people she knows as she trots by and she’s on a high for the rest of the day after a little run. Wow. I hate running but I LOVE Zumba. Anything that I can shake my booty too, I really enjoy. “Oh god. I can’t do Zumba! I can’t even step from side to side in time” said running friend, Then we all started sharing our favourite ways to keep fit – or even just the activities we like doing to feel good and clear our minds. And there you have the first tip. You have to just do what YOU love. 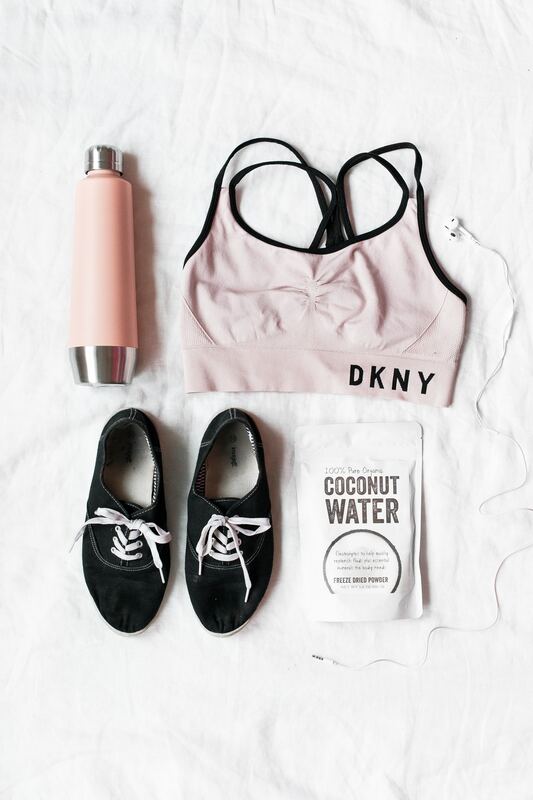 Don’t be forced into an activity because it’s fashionable or meant to be amazing for your legs/bum/shoulders…or because your friend does it. By all means, give everything a go and then slide into your vibe and keep on doing what feels good. Because once you get that happy feeling, it’s all the motivation you need to keep going. Tricep dips and dumbbells are essentials for toned arms. Walking around the park with friends, we discussed the dreaded bingo wings and mine have started flapping at a rate of knots when I so much as reach up to get something out of the cupboard. I’m not a big weights and gym goer but my super strong friend, J, told me that I can really make a difference with tricep dips. So, how easy is that to incorporate into my day? It’s very easy. So, I’m doing 10 in the morning and 10 in the evening and in fact, any time I remember (usually while the kettle is boiling) I’ll do another few in the kitchen. I’m also looking out dumbells to use around the house as part of my decision to put together an at-home routine for those days when I’m just CBA to get outside to the gym. My friend, J, said that you need to have some dumbbells or use weights to build up strength and challenge yourself. Another interesting myth she busted for me was the idea that you might start looking like muscle bound she-man. Apparently, that won’t happen. The fitness pros say it will take thousands of sessions of much heavier weights and much more lifting than I’ll ever do to get ‘bulky’. But, you do need some weights or at least a level or resistance to improve and tone your shape. You can cheat…a bit! This was my favourite bit of information this week. Once I had decided to let everyone know I was challenging myself, I started to get a bit Scooby-Doo-and-Shaggy-scared and was fearful about what I had let myself in for. I mean, I had a weekend away in Devon coming up and all those early Christmas do’s that are looming and I’m not very good at iron willpower. But, of course, I do understand you need to have at least a modicum of discipline to make the changes I’m after – there is no magic wand, people! So, when I was told by my fitness fave Tracey at Face Up Fitness, that I shouldn’t worry about slipping off the wagon now and then for the odd cream tea or glass of wine over the weekend, as long as I got straight back to it on Monday. Tracey said it’s amazing how, once you’ve built up a certain level of fitness and got your body into good shape, your muscle memory kicks in, so that if you’ve taken some time out of exercise and have had a bit of a food splurge, once you get back to it, you can build your fitness back to where it was really quickly – and you won’t spoil all your hard work with a blow-out now and then. Phew! 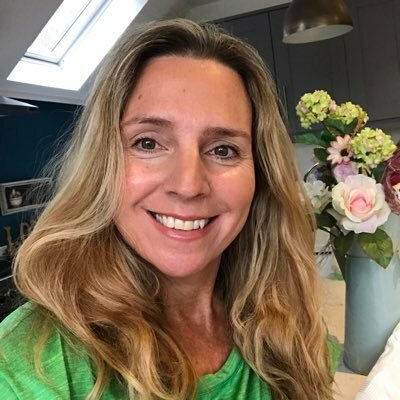 Nutritional Nouse – Once I’d put my goals up on Instagram, I had some lovely people giving me their advice and tips and I found a few of my own to get me started. Alex from IHeartBeauty is a big gym goer and has completely changed her lifestyle over the last few years – getting really fit and in brilliant shape and I reckon she could knock spots off women half her age in the gym and with the condition of her skin – it’s the most luminous, glowy skin I’ve ever seen! She is an affiliate member of the Society of Cosmetic Scientists and a prolific skincare junkie – what she doesn’t know about skin product ingredients isn’t worth knowing. I am sure that Alex’s healthy living and eating is probably one of the reasons her skin is so wonderful. So, when I mentioned I’m looking for quick, easy tips and recipes she told me that she fills up on loads of dry roasted and steamed veg with a touch of olive oil and balsamic vinegar after cooking. So easy and sounds delicious so there’s no excuse to eat unhealthily is there?! 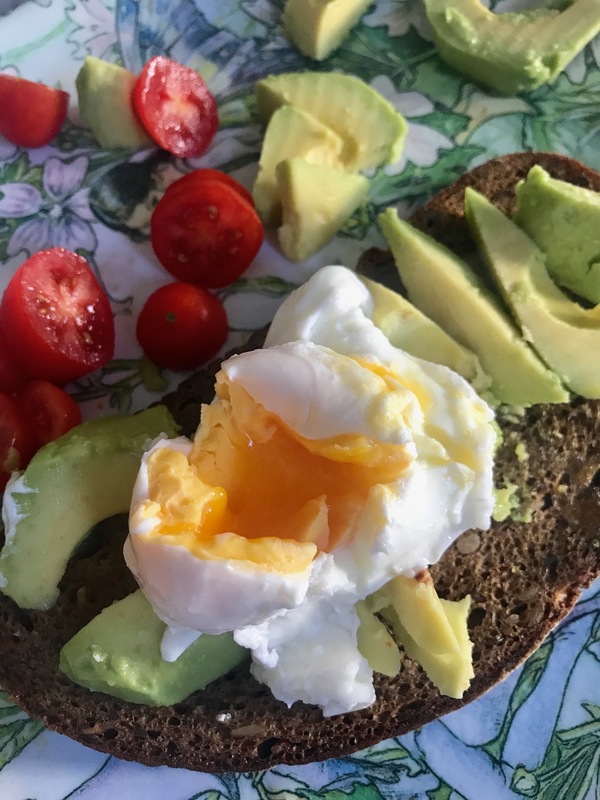 My friend, J, then told me how she’s switched to rye bread as it’s high in fibre and other nutrients compared to regular bread and for a quick lunch, she toasts a slice and tops it with avocado and poached egg. YUM! The thing I loved best is that she said she poaches her egg for a minute or so in half a mug of boiled water in the microwave. I love a recipe hack and this one is legend 🙂 quick, easy and tasty. That said, you may have to muck around with the timings to get the egg just how you like it with your microwave as they all differ but let me tell you, if I can master it, then so can you! I am learning something new everyday from people around me – not just experts but friends who are a minefield of fabulous feel-good, look-good info! And I’m already starting to feel better about myself – not that I’ve lost any weight or feel my bingo wings shaping up much at the moment – but I’m feeling positive and I am enjoying the fact that I think you can make a real difference with a few clever tweaks. See you back here next week for my challenge update! Next Post Escape That Comfort Zone! Have loved reading this – feeling motivated! Great going! You will do this because you have the right attitude. Yes results don’t happen overnight, and yes it’s important to factor in the things you like, including the type of exercise you enjoy and the food/drink that make life fun (the latter albeit rationed). You’re getting some super advice from many quarters. Dips are a great exercise, and having dumbbells always at hand means no excuse not to get a bit physical at home. My physique has toned up significantly since switching to a weights bias but cardio is fab for fat loss – I programme in some cardio to every weights session. And there are many great exercises that will tone you up using just bodyweight – aside from dips how about press-ups? Do them on your knees if full press-ups are tricky at first. Another bodyweight fave of mine are glute bridges, particularly single leg variation for added difficulty. 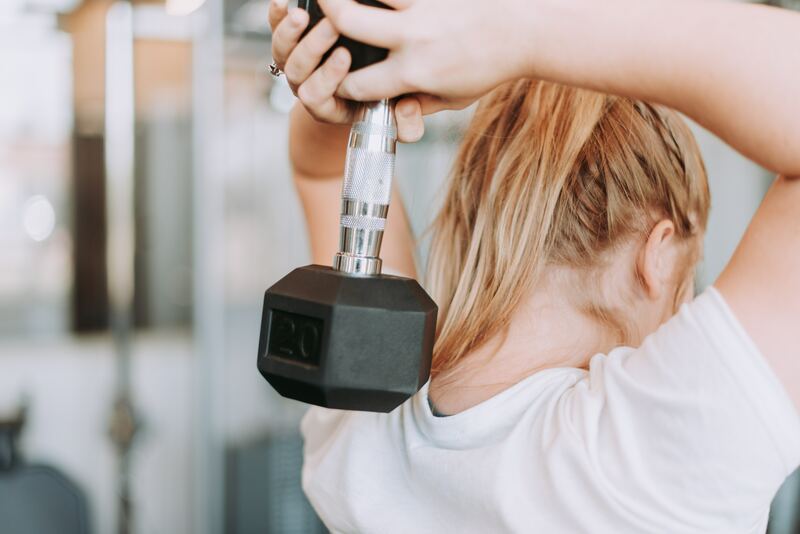 Both can be done at home, and neither require any fitness kit – though you could always add dumbbells to both to step things up even further. Fantastic start Lisa. Looking forward to your next update. Much love – and a huge thank you for the mention!! !